The beginnings of the Livar company date as far back as the year 1954. As one of the largest foundries in Slovenia, it employs over 750 persons at two foundries located in two municipalities. Livar specializes in the production of ductile cast iron and mechanical processing. Livar offers comprehensive solutions. We have our own tool-making shop, the capacity to cast grey and nodular cast iron at two different locations, and a mechanical processing department. Our technology division has a design and metallurgy department equipped with state-of-the-art technology. 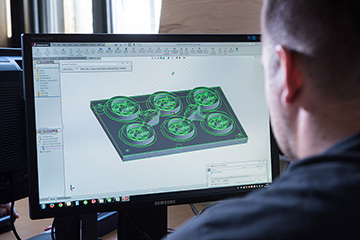 We draw and produce our own tools, pour the castings ourselves, and mechanically process them in the final stage. The process is constantly monitored by means of various control systems, thus ensuring comprehensive quality control of production, finalisation, packaging and dispatch. We are equipped with the most up-to-date technology enabling access to easier and quicker solutions for both our employees and customers. 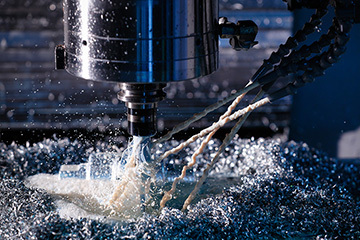 In addition to pre-verification of the health of a casting using the MAGMA SOFT application and ATAS advanced computer system for supervision and stability of the casting process, we also offer customers a system of rapid casting of sample pieces. 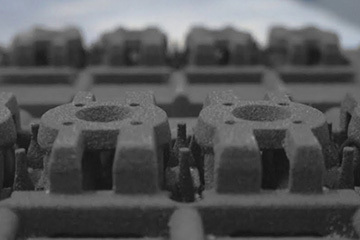 Customers can obtain test castings already within 12 business days. 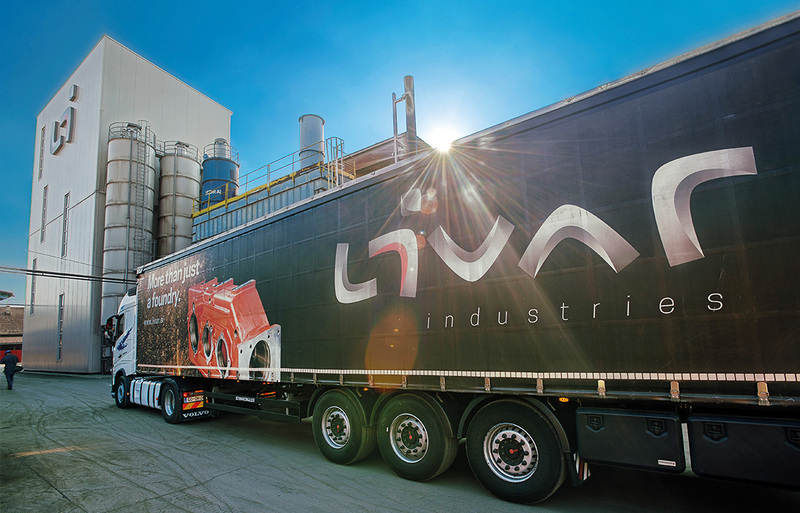 At Livar we are aware that quick and timely delivery times are of key importance for maintaining our competitive advantage and achieving our set goals. Transport routes are logistically well-integrated, so that with the help of permanent transporters, we are able to efficiently deliver products to the customer’s doorstep in a very short time. Quick response, flexibility, professionalism, friendliness and know-how are those advantages and virtues that allow us to carry out the entire logistic process from order to supply in the desired time frame of our customers. We know that only quality casting tools can create a quality casting. But we are also aware that each customer wishes to obtain their casting in the shortest possible time, whether new or only slightly modified. This is precisely why Livar has its own tool-making shop. And not only one, but two. One in Ivančna Gorica and the other in Črnomelj. 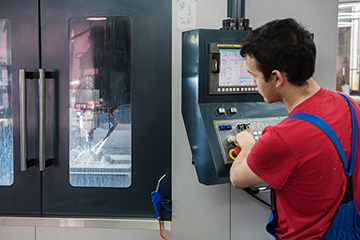 We are equipped with three modern CNC milling machines, a CNC turning machine, and all other machines and devices needed for the rapid manufacture of quality casting tools. 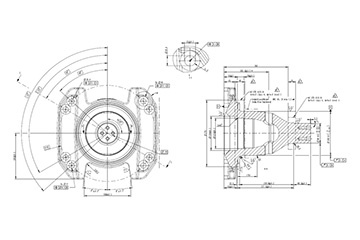 In addition to machines and devices, we are also equipped with expertise and many years of experience. This combination of expertise, experience, modern technology in the manufacture of casting tools primarily from aluminium, as well as cooperation with customers and consideration for their wishes, guarantees mutual satisfaction. Ensuring and constantly improving quality processes at Livar are the main tasks of both the management and our employees. We are all committed to monitoring the performance and efficiency of implemented activities for the assurance of quality in our field, as well as adapting procedures to our newly gained knowledge with the help of the most advanced technology. 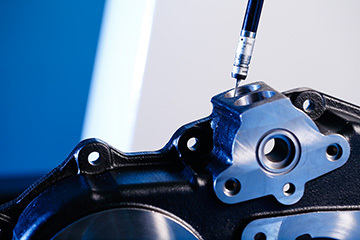 The quality of Livar’s products and services is proven by the attained ISO 9001 (quality), IATF 16949 (automotive industry), ISO 14001 (environmental management), and DB (Deutsche Bahn) certificates. At Livar, we realise that quick development times and complete information are key to the satisfaction of our clients. Our customers are increasingly more pressured by short deadlines for the completion of projects. The orders of final buyers are all the more complex and dependent on delivery times. As a successful business partner, we are forced to place our offers, manufacture tools, cast samples and, if necessary, process them in less than 7 weeks from the order date. We always openly discuss all stages in the development of a new product with the customer, and inform them of any divergences. The provision of information is thus of key importance in ensuring the transparency and efficiency of our own progress.